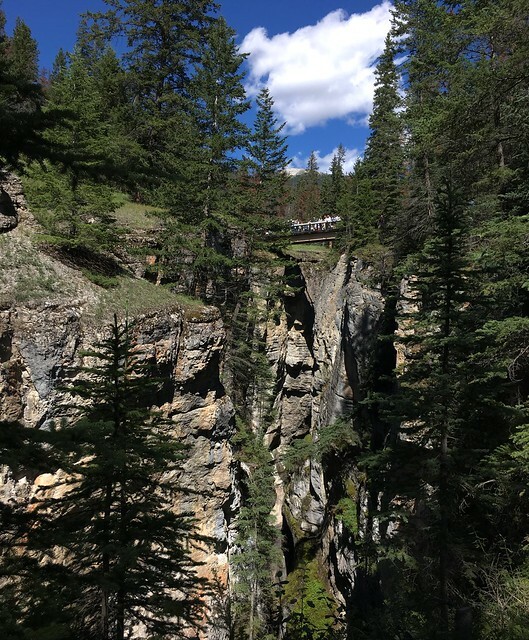 Jasper – Maligne Lake and Canyon | What Goes With What? Another kinda low key day today. There was a big thunder storm last night the tent is wet and we’re moving to another site this morning. Once we move camp we are there for 3 more nights in Jasper. The new site is beautiful and in the woods. I’m hoping the mosquitoes won’t be too instense there. 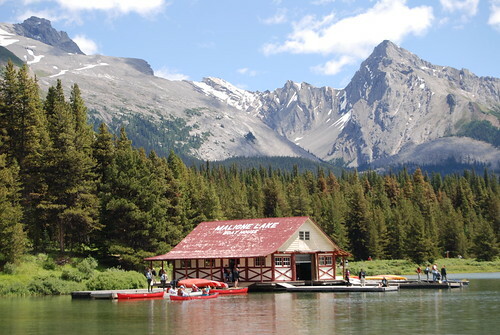 Maligne Lake is an easy day trip, 48 km from town. 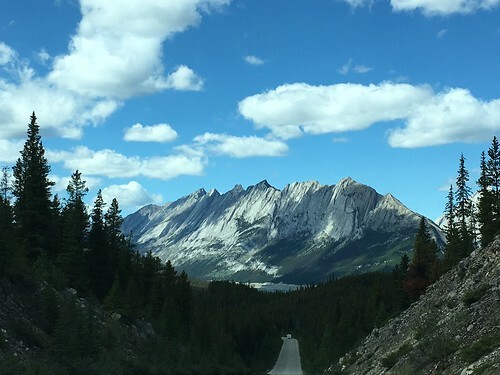 The drive along Medicine Lake is spectacular. Around every curve is a new view of the jagged mountain peaks. 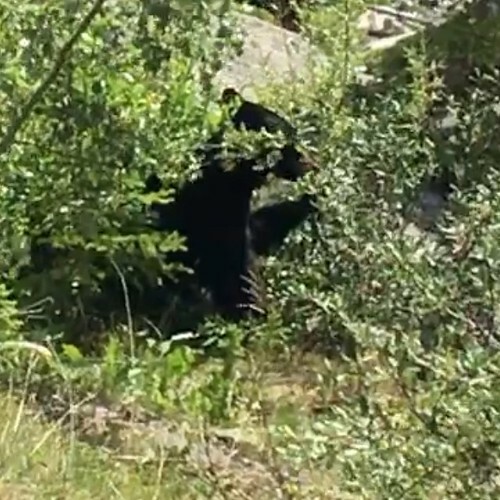 Along the road we came to a few cars stopped with a young black bear munching on berries. I am not kidding you people were within 20 feet of this guy. A surreal experience. 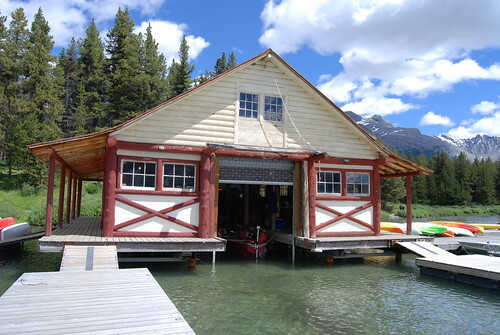 We took a short hike along the lake side taking pictures of the iconic boathouse where you can rent kayaks and canoes. 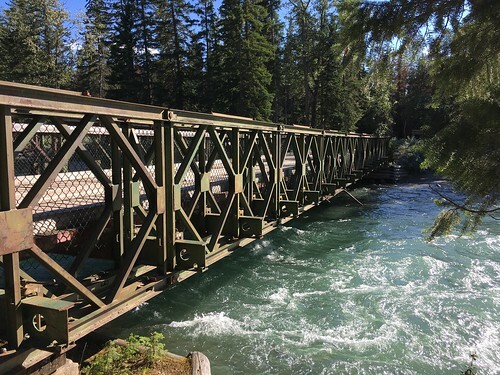 The structure is original to lake, built in 1928 by fishing and wilderness guide Donald “Curly” Phillips. 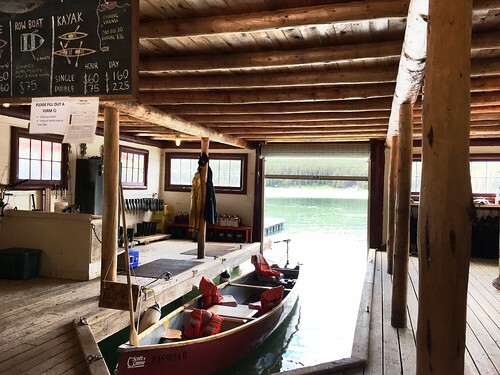 As a boater and kayaker I really enjoyed walking around inside and outside the boathouse. I love the rustic, use what you have, architecture of that time period. The lake is mostly undeveloped so you can really get a sense of how if felt to be there in 1928. Outside the gift shop\restaurant there is a wonderful deck. Great place for a picnic. 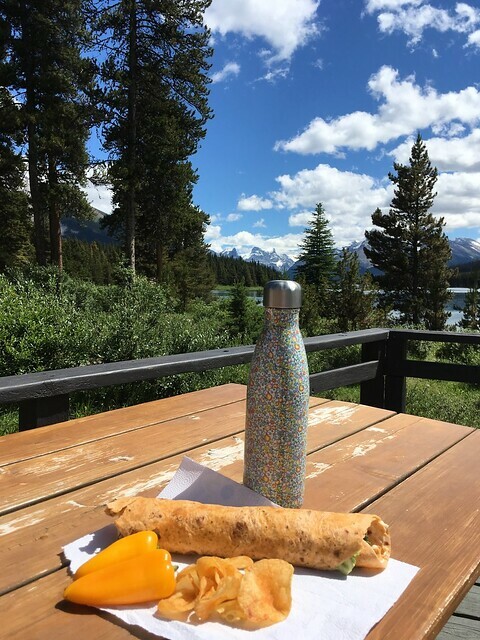 The Viking and I made ourselves some wraps in the parking lot and chilled on the deck for a while before heading back down the road to Maligne Canyon. 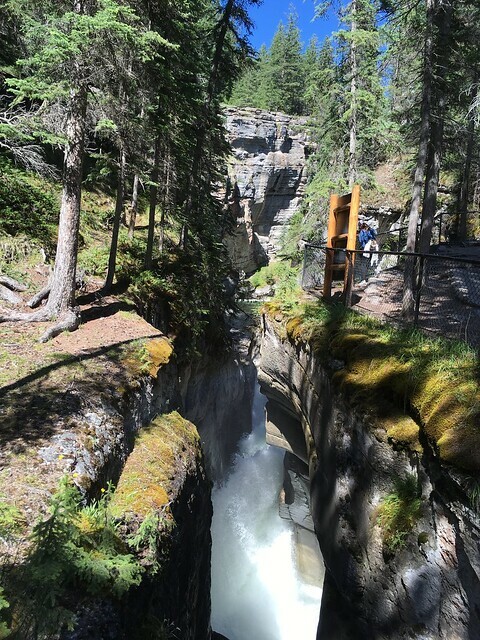 Maligne Canyon is a deep gorge with a waterfalls galore and 6 bridges. One can hike the canyon from the North or South parking lot. We started at the North end which meant the path was all downhill then ALL uphill on the return. Credit card hike – play now, pay later! 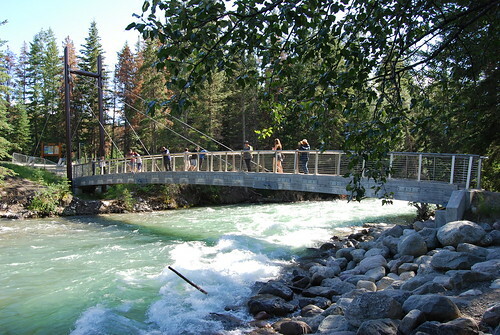 4.4 km The first 2 bridges are easily accessible from the parking lot. 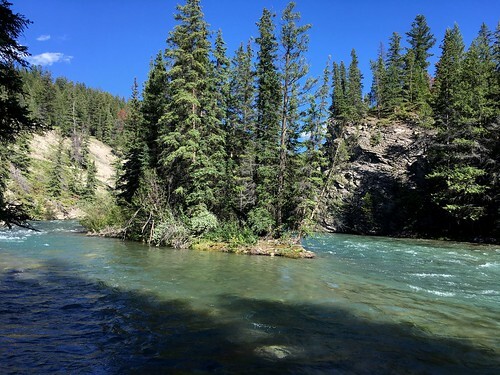 At one point the whole river flows through a 1 meter gap in the rock. 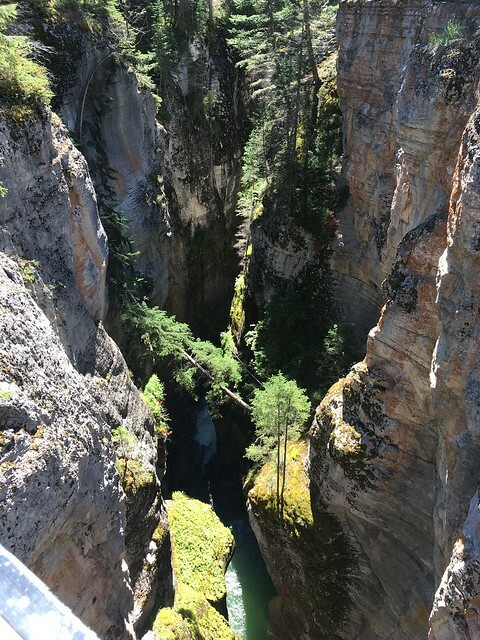 The canyon is so deep at the start it’s difficult to see the river below. At the 5th bridge your rewarded with a small island in the center of the river. We turned around at this point for the long uphill climb back to the car. Bridge #6 is another 1.6km with a road that we’ll be driving on to see the last bridge. Gotta see all 6 bridges! The Viking keeps reminding me that we can’t see it all. LOL! We can try! That is a look of satisfaction on our faces! 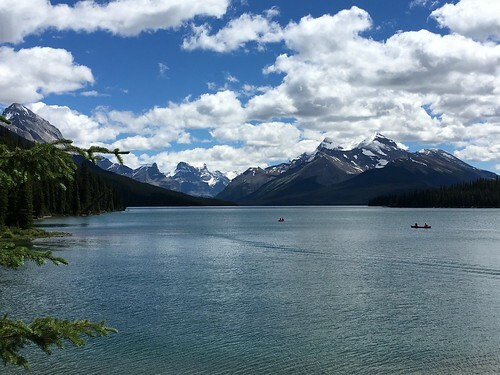 Another amazing day in Jasper. 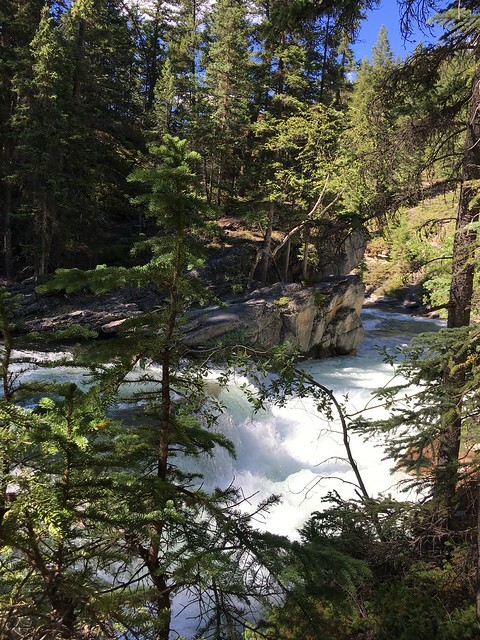 We hiked and explored Maligne Lake and Canyon. 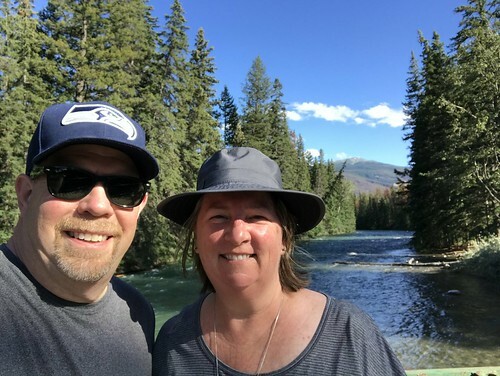 Tomorrow we head back down the Icefields Parkway to hike Wilcox Pass. 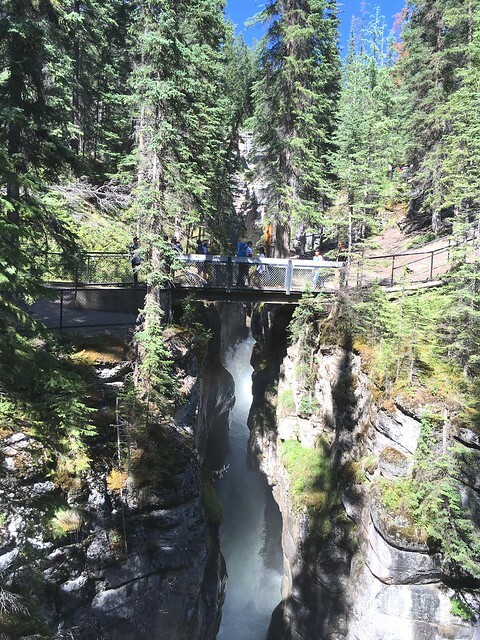 This entry was posted in Adventure and tagged Adventure, jasper, maligne canyon, Maligne lake, road trip by Diana. Bookmark the permalink.